Rye B&B - Stream House Bed and Breakfast Rye - a Special Place to Stay! Rye B&B - Stream House Bed and Breakfast Rye - a Special Place to Stay! “Stream House was the final bed and breakfast accommodation we used on a six week trip to England recently. We had stayed in a range of properties and most were very good but none compared to Stream House in terms of price, setting, friendly hosts, breakfast. And the quality and cleanliness of the accommodation. Set in a semi rural area Stream House is mid distance drive to both Hastings and Rye. It has extensive and lovingly maintained gardens which provide a haven after a day of being a tourist”. “Sandra and Steve are perfect hosts. Sandra’s attention to detail is to be admired. Her knowledge of local facilities is excellent. She identified several pubs within easy drive for our evening meals and all offered good quality food and atmosphere. Nothing was too much trouble for her”. “We run our own small, award winning accommodation business in Tasmania and inevitably run a fine eye over places we stay. Against this yardstick we have no qualms in absolutely recommending Stream House to all who want the perfect retreat and haven whilst travelling”. Stayed in October 2016, couple from Tasmania. If you are considering bed and breakfast accommodation in Rye, East Sussex then look no further. 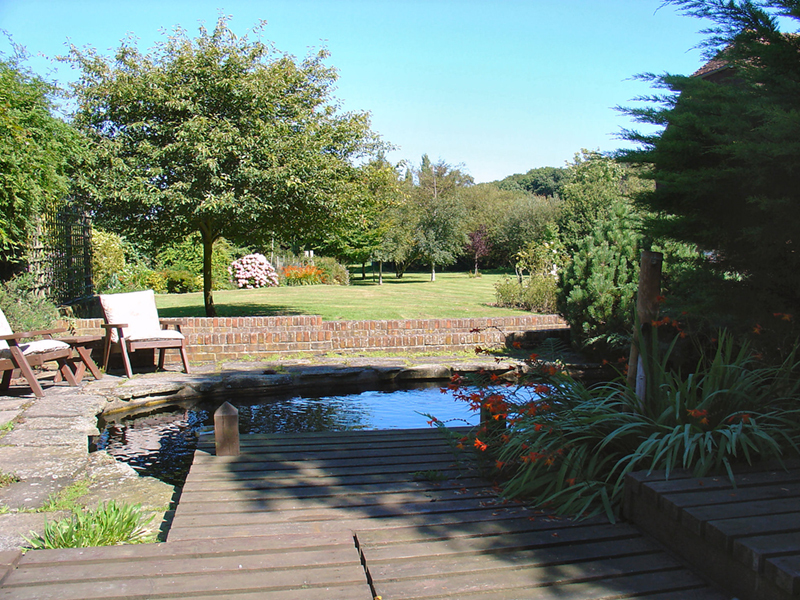 Stream House Bed and Breakfast in Fairlight village is ideally situated for visitors to East Sussex and Kent. Places to visit include Rye, Winchelsea, Hastings, Battle Abbey, Bodiam Castle, Sissinghurst Castle Garden and Great Dixter House. Also ideal for Camber Sands with its 3 miles of golden sands and those wishing to explore the beautiful East Sussex and Kent countryside. Plan your visit beforehand and you will have an absolutely fabulous time. Luxury b&b accommodation and an excellent breakfast awaits you at Stream House B&B Rye. Stream House Bed and Breakfast Rye – a special place to stay.